To enjoy all the features of WhatsApp on your Android device, you need to know perfectly how to use WhatsApp. WhatsApp is the excellent app for messaging. To use this app, you only need a good internet connection. The using process is very straightforward. But using it on an Android phone and a computer is a little bit different. I am here to show you the method of using WhatsApp on Android devices. To use WhatsApp, at first, download it on your Android device from the Google Play Store. Then install it on your phone. You have to verify the phone number to use it. 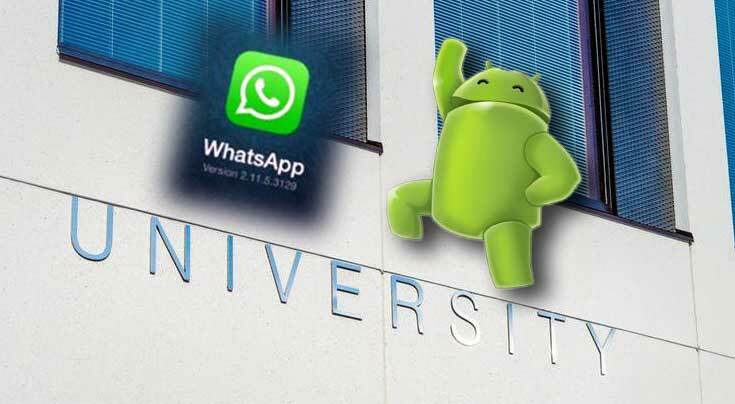 Now see the process of using WhatsApp on an Android device. Find out the WhatsApp icon on your phone and tap it to launch WhatsApp. Now you have to verify the phone number. If you do it before, you need not do it again. When you open your WhatsApp at the first time, you need to put a phone number with your country code. Entering it, you will get an SMS with a code. Then put the code and submit it. Now it is time to open the WhatsApp contacts. For this, you should click on the dialogue that is at the right top side of the interface. When you open it, you will find the list of your contacts. Here, you can add more contacts. You can select the ‘tell friends about WhatsApp’ link. You can also invite your friends from your phone’s contact to join with you on WhatsApp. Now select one friend to chat with him. You can search the friend’s name and find him quickly. The messaging option is on the bottom side of the screen. Then tap it. A keyboard will appear. Then type your SMS and tap the enter button. However, you will find that the message appears in a conversation style. To send the photo, you need to tap the paperclip icon. Then select the photo from the Gallery or photo option. If you want to send more photos, you need to tap the + icon. Then tap the enter button to send photos to your friends. Besides, you can send Videos by selecting the Video option. Then shoot a video and save it. After saving it, tap the send button. With the same process, you can send audio files and contacts. Besides, you can send your location from map to your friends. You should know the WhatsApp wiki for more tips. Thank you for staying with APPSnChat. We appreciate for helping us by visiting this blog. The WhatsApp Wiki for using on Android is now should be cleared. If any occurrence happens; Please inform us. We will help you inshallah.